We carry a wide range of remote central locking keys ranging from standard and flip out blades, to the newer style proximity or smart keys. These remote keys can be cut and programmed on site from our mobile workshop, without the need to book your vehicle in with the dealer. Most of the Renault vehicles found in the UK today use one of two key systems, the standard double sided cylinder key or the laser cut key incorporated within a card. The standard cylinder key found on many vehicles today was first introduced around 1993 and were used until 2004. This key uses 6 positions with depth cuts from M-S. In 2001 Renault introduced their key card system which comprises of a plastic card with remote buttons and a small emergency key blade. Renault key cards are a great idea but they are easily damaged, the remote buttons disintegrate regularly and the printed circuit board can become cracked with normal use. These cards are expensive to replace from the main dealer, you will also be required to produce the vehicle documentation before Renault will order the card, this can take 7-14 days. At Devon Car keys we carry a large range of cards and keys in stock. 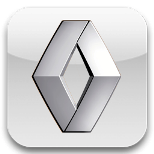 With the latest Renault software we are able to read the immobiliser code and program new keys/ cards in under 2 minutes. Call us on 01392 461200 to speak with one of our local car key locksmiths. If you are locked out of your vehicle or need any assistance with your keys, Call us! Devon Security are a Devon based Locksmith company. Operating in the Devon area we provide a full range of locksmith and security services for the Home, Business, Cars and Motorcycles. These home and business services can range from a simple lock change to the installation of large master key systems and keyless access. Our automotive solutions can help with lost keys and remotes or broken keys and we can offer replacement spare keys. As a company, we offer a personal and professional service to all our customers coupled with highly competitive prices. We guarantee that all work will be carried out in a professional manner and to the highest standards. We provide 24-hour locksmith services to many areas in Devon. Do you need a spare car key? 🔑 Don't wait around for the main dealer to fit you in, give us a call! We can assist you on the same day as your call at a fraction of the price compared to main dealerships. Busy Good Friday morning, a little trip to Sidmouth to help out a lady who had lost her only key to this Citroen Berlingo and was supposed to be working over the weekend. 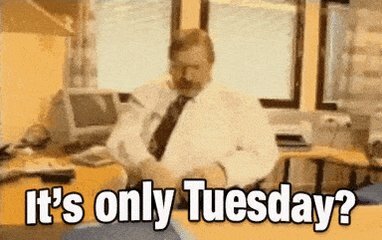 She rang several local locksmiths and was told by them all that they would have to apply for codes and the earliest it could be done was Tuesday. We decoded the vehicle ignition and made 2 keys then read the immobiliser code and programmed them to the vehicle. Back on the road within 30 minutes.